Since our inception in the year 1970, we are a manufacturer, supplier and exporter of a comprehensive range of Ferro Alloys and Metal Powders and Minerals. In addition to this, we offer Nickel Based Alloy and Stainless Steel Wires and Chemicals. The powders and wires offered by us are manufactured using premium quality raw material and advanced technology. Known for their attributes like controlled chemistry, sizing, corrosion resistance, durability, high strength and superior finish, our products are used in welding electrode industries. Further, we process our minerals, powders and chemicals utilizing high-grade ingredients that are obtained from certified vendors. 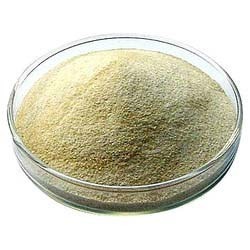 These products are demanded for their purity, non-toxicity and precise composition. We have appointed a team of diligent professionals, which executes all the business activities in a systematic manner. These experts judiciously utilize all the resources and employ innovative techniques in the production process. They work in close consort with each other at our state-of-the-art infrastructure. This facility is equipped with the technically advanced machines and other equipment that help us in meeting even the bulk demands of our clients. Owing to our ability to meet the consignments on time, we have been able to maintain healthy relations with the clients across Indian Subcontinent, East Asia, Middle East and South East Asia.